Did you know 200 types of bacteria live in your mouth? Did you know that there are more than 200 types of bacteria that live in your mouth? Many of these bacteria multiply in the presence of sugar and can attack your teeth and cause cavities. But other, more harmful bacteria live there, too. They use your mouth as a breeding ground, before heading off to attack other parts of your body. By keeping your teeth and gums healthy and coming in for a regular cleaning, you can prevent heart disease, diabetes, lung disease, premature births and some forms of cancer that are caused by bacteria living in your mouth. Headaches: A Pain In The Mouth! We all know the symptoms of a headache. That pulsing pain behind your eyes… the stiff, throbbing neck – and of course the vise-like tightening around your head. But people often don’t know that many headaches are really symptoms of dental health problems. Do you find yourself chewing gum or obsessively popping breath mints throughout the day to keep your sour breath at bay? 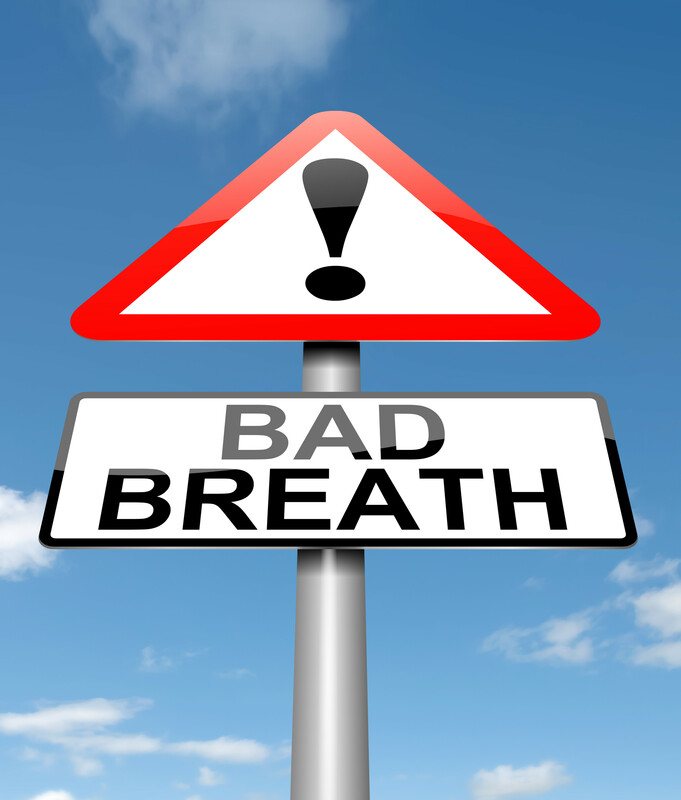 Bad breath—or halitosis—can be an embarrassing and annoying condition, especially when it’s chronic. If you’re concerned about your bad breath and are worried that it’s affecting your social or work life, it may be time to book an appointment with your dentist. Regular dental check-ups allow your dentist to monitor your oral health and identify conditions that may cause bad breath. These include gum disease, which results from a build-up of plaque, and dry mouth, which can arise when the production of saliva in your mouth decreases, either due to problems with salivary glands or as a side effect of some medications. When saliva production is compromised, food particles are not washed away completely, and you may end up with bad breath. Your dentist will also work with you to identify other factors that may be contributing to your halitosis. An obvious one is smoking, which not only leads to bad breath, but can also irritate your gums, putting you at greater risk for gum disease. Eating strong foods, such as garlic or onions, may also contribute to bad breath. Of course, making sure you’re taking good care of your teeth and gums and maintaining optimal oral hygiene is crucial to keeping bad breath at bay. 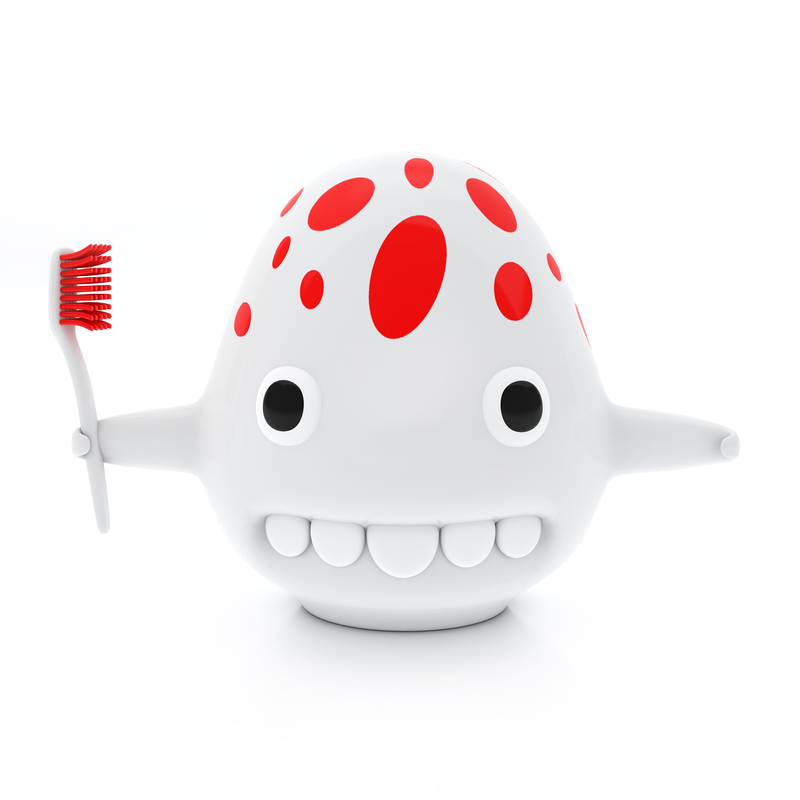 This means brushing twice a day, and flossing daily to remove food particles from between your teeth. And don’t forget to brush your tongue, too, since it can harbour bacteria that may lead to bad breath. Don’t be embarrassed… talk to your dentist on your next visit! Frequent sipping of beverages that are sweet or acidic, such as regular and diet soft drinks, juice, sports drinks – even tea and coffee – can be harmful to your teeth. Acidic drinks can attack your tooth enamel which makes your teeth more vulnerable to cavities and chipping. Try to brush your teeth or drink a big glass of water after consuming these sweet or acidic drinks to reduce the risk of dental problems. A crisp, chewy carrot stick will act like a toothbrush, scraping plaque and bacteria off your teeth with every tasty bite.